Investigations by SUNDAY PUNCH correspondents, who spoke with political party leaders, aspirants and some residents of the affected states, revealed that the exercises might not be without violence. 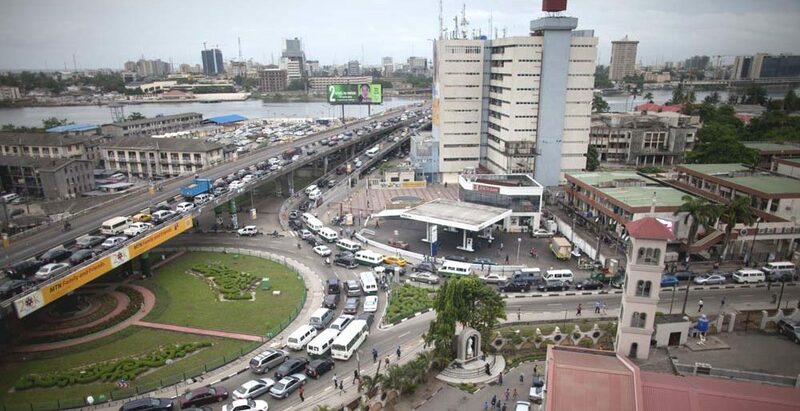 In Lagos for instance, supporters of the incumbent governor, Akinwunmi Ambode may on Monday clash with those of the APC leaders who are supporting the emergence of Mr. Babajide Sanwo-Olu. This situation may not be different in Oyo State where there are fears that APC members, who are loyal to a former governor of the state, Adebayo Alao-Akala, may have a raw deal with loyalists of Governor Abiola Ajimobi, who wants to install a successor. It will be a battle between the consensus candidate of the Ogun West Elders Council, Adekunle Akinlade, and the alliance of five aspirants, mostly from the Ogun East Senatorial district. The five aspirants in the alliance are Senator Adegbenga Kaka; Dapo Abiodun; Jimi Lawal; Bimbo Ashiru, and Abayomi Hunye, who is the only one from Ogun West. These aspirants in alliance were dissatisfied with the decision to have Akinlade, who is currently representing Yewa South/Ipokia Federal Constituency in the lower chamber, as the consensus candidate of the party. Three of the aspirants, who spoke with one of our correspondents, called on the electoral team that would be sent from the national secretariat of the party to oversee the governorship primary to ensure a level-playing field for every aspirant, by making it free and fair. The aspirants are the immediate past state Commissioner for Commerce and Industry, Ashiru; a former Senator from Ogun East and former deputy governor of the state, Kaka, and businessman, Abiodun. They are all from Ogun East (Ijebu-Remo). Ashiru, who spoke to us while on a consultation train to Ogun Waterside, expressed optimism that he was the most qualified for the job, having been part of the current administration’s success story, especially in the area of attracting investors to the state. He said, “I am confident of victory if the governorship primary is free and fair; if there’s no harassment. On his part, Kaka said he would want the membership registers containing the names of old and new members to be presented at the wards and people should be allowed to line up behind the aspirants of their choice without any form of molestation. Speaking through one of his media aides, Olumide Lawal, Abiodun believed he equally would be victorious if the primary was transparent. Lawal said, “We are expecting the team from Abuja, the national headquarters of the party, that will oversee the governorship primary in the state. Another governorship aspirant from Ogun East, Jimi Lawal who is a former banker and currently an adviser to Kaduna State governor on Investment Promotion, also hoped for the best. He said he had visited his supporters in all the local governments across the state three times, between last year and now. Lawal added, “Tomorrow (Sunday), I hope for the best. I have visited the 20 local governments across the state about three times, between last year and now. Meanwhile, the Ogun State Police Command said it was well prepared for the governorship primary. The state Police Public Relations Officer, Abimbola Oyeyemi, said all arms of security apparatus in the state had been mobilised for the exercise. Oyeyemi said, “We are fully prepared. We have made our deployment. We will monitor the event from the beginning to the end. A former Oyo State governor, Alao-Akala, on Saturday, said he would not be part of today’s governorship primary of the APC in the state, alleging that there were plans by Governor Ajimobi to impose one of the candidates, Joseph Tegbe, on the party. Alao-Akala, according to a statement by his media aide, Jeremiah Akande, called on the party leadership to quickly step into what he described as a crisis in the state chapter of the party. He also asked his supporters to wait for his next move. The statement noted that the ministerial slot of the state had been offered to Alao-Akala but he refused to accept it because of possible collision with Adebayo Shittu. The statement said, “Alao-Akala wishes to state categorically and put the leadership of the party and the general public on notice that Ajimobi has perfected plans to impose one Joseph Tegbe on delegates as he has sent his foot soldiers around to coerce and intimidate delegates to vote for the said Tegbe against their free will. “Alao-Akala, a true party man and committed loyalist to any cause he believes in, wishes to state categorically that he is not a pushover in the game of politics and as a well-grounded and groomed politician, who has occupied the number one seat of a politically-conscious state as Oyo, will not be part of any move or attempt to subvert the true will and wishes of the people by the selfish interest of an individual. Despite efforts to resolve the leadership crisis in the Delta State chapter of the APC, the party is going into its primaries with a divided house beginning with the governorship primary on Sunday (today). Four of the five governorship aspirants, who picked the party’s nomination and expression of interest forms, have been cleared to participate in the primary taking place in Asaba, the Delta State capital. They are Prof Pat Utomi, Victor Ochei, Chief Great Ogboru and Dr Cairo Ojougboh. The party currently parades two executive committees in the state. While the immediate past National Chairman of the APC, Odigie Oyegun sworn-in Chief Cyril Ogodo-led State Working Committee, Adams Oshiomhole, upon assumption of office as the party’s national chairman, sworn-in Prophet Jones Erue as chairman. The former is loyal to Olorogun O’tega Emerhor and Chief Hyacinth Enuha while the latter is loyal to the Senator Ovie Omo-Agege and Ogboru faction. Last minute move made by the APC governorship aspirants from the Owerri zone extraction of Imo State to have a consensus aspirant that would challenge governor Rochas Okorocha’s preferred choice, Uche Nwosu, during the primary on Monday, has failed. Sunday PUNCH gathered that the aspirants, consisting of the deputy governor of the state, Eze Madumere; immediate past Secretary to the State Government, George Eche; Okorocha’s brother-in-law, Chuks Ololo; the governor’s former appointee, China Anozie; a former SSG, Jude Ejiogu; business magnate, Chris Nlemoha; and a retired air commodore, Peter Gbujue, met in Owerri, the state capital, on Saturday. A source at the meeting, which lasted for about seven hours, told one of our correspondents that none of the seven aspirants from the zone agreed to step down for another. The meeting, our correspondent learnt, was called by the leaders of the APC in Owerri zone to ensure the aspirants reach an agreement that would made them to support one among them for the Monday’s exercise. It was learnt that the people, who called the meeting, stated that Owerri zone would put the wrong foot forward going into the primary with seven aspirants while the other two – Nwosu and Senator Hope Uzodinma – are from Orlu zone. All efforts made by the conveners of the meeting to persuade the aspirants to reach a consensus failed as all the aspirants preferred to head to the primary. Confirming the development to SUNDAY PUNCH, the director of media of one of the aspirants (Nlemoha), Callistus Emeruo, said his principal was going ahead with the primary. Ikenna Onuoha, a media aide to another governorship aspirant, Ejiogu, said his boss did not step down for anybody. Investigation by SUNDAY PUNCH revealed that Madumere, Nwosu and Nlemoha are the aspirants to beat in the primary. Speaking to Sunday PUNCH ahead of the primary, the deputy governor said that he was prepared for the exercise. Madumere, who sued for a free and fair process, said his campaign organisation rejected the plot by some members working for the state government to hijack the process at the grass roots. The governorship aspirant, who spoke through his Chief Press Secretary, Uche Onwuchekwa, said only accredited INEC collation centers at the wards should be used for the primary. No fewer than 23 governorship aspirants, 38 senatorial aspirants and 199 House of Assembly aspirants are to contest the primaries of the ruling Peoples Democratic Party and the All Progressives Congress in Kwara State on Sunday (today). The state APC chairman, Mr. Bashir Bolarinwa, said there were no fewer than 13 governorship aspirants in the state. He said the aspirants include, Alhaji AbdulRahman Abdulrasaq; a Senior Advocate of Nigeria, Mr. Dele Belgore; Alhaji Lukman Mustapha, Alhaji Hakeem Lawal, Alhaji Kawu Modibbo, Alhaji Moshood Mustapha, Prof. Oba Abdulraheem, and Ambassador Seriki Yahaya. Others are Alhaji Saliu Mustapha, Alhaji Shuaib Abdullahi, Mr. Tajudeen Audu, Mr. Kayode Abdulwaheed and Alhaji Yahaya Gobir. He, however, said the lists of cleared or uncleared aspirants were yet to be released by the APC National Working Committee. He added that there were 32 senatorial aspirants and 93 aspirants to the state House of Assembly. In an interview with SUNDAY PUNCH in Ilorin, the Kwara State capital, on Friday, the Head, Media and Strategy, APC, Kwara State chapter, Mr. Kayode Zubaire, said no about 250,000 APC members had registered in the state. The state PDP Publicity Secretary, Mr. Tunde Ashaolu, told one of our correspondents that the state PDP had 10 governorship aspirants; six for Senate; 45 for the House of Representatives and 106 for the House of Assembly. The governorship aspirants include, Dr Ali Ahmad, Mr. Razak Atunwa, Mallam Bolaji Abdullahi, Senator Mohammed Lafiagi, Alhaji Ladi Hassan, Aliyu Ahman-Pategi, Alhaji Saka Isau (SAN), Prof Sulaiman Abubakar, Alhaji Mohammed Ajia and Alhaji Zakari Mohammed. While some emirs and aspirants from the Kwara North Senatorial zone argued that the next state governor should come from the zone, some aspirants from from Kwara Central disagreed with the emirs and some governorship aspirants over the demand for power shift. Zakari Mohammed confirmed that emissaries had been sent to the Senate President, Dr. Bukola Saraki, on the need for him to intervene and ensure that Kwara North was allowed to produce the next governor. But Ajia, speaking on the sidelines of the unveiling of his blueprint for the state, said for PDP to retain power in the state, Kwara Central should produce the next governor. Saliu Mustapha, during his declaration, said though by morality, Kwara North should be considered, but for the APC to win the election and displace the current ruling political elite in the state, led by Saraki, it was strategically necessary for the APC to have its governorship candidate from the Kwara Central. Meanwhile, there had been agitations by APC stakeholders over the mode of primaries in the state. governorship ticket of the APC, Mahmood Halilu, who is President Muhammadu Buhari’s in-law. Most delegates participating in the primary today (Sunday) to elect the APC governorship standard bearer for Adamawa State, who have flooded the state capital, are allegedly being camped in various hotels in the state capital ahead of the exercise. But a group, Mahmood Halilu Delegates Canvassers and Mobilisation, led by Promise Nashan, on Friday, accused party agents working for Bindow of planning to evacuate all delegates to the Government House. Nashan said, who addressed journalists report reaching them indicated that the governor planned to ‘hijack’ all delegates in the Government House. “We reject the unlawful imprisonment of delegates that shut out the door against others from a democratic tenets enshrining freedom of choice and participation,” the group said. As of the time of filing this report, Halilu was meeting with delegates and canvassing for their support ahead of the Sunday’s primaries. Also, the delegates at the governorship primary of the APC in Borno State have allegedly been made inaccessible to aspirants. In Benue, fear has gripped governorship aspirants of the APC and their PDP counterparts as both parties hold their governorship primaries today. Six aspirants — Emmanuel Jime, Benjamin Adayin, Arch Asema Achado, Titus Zam, Akanger Audu and Michael Iordiye — are contesting on the platform of the APC. Contesting the ticket of the PDP are Governor Samuel Ortom, Telumun Nyitse, John Tondo, Felix Atume and Dave Iorhemba. The aspirants were said to be making consultations with the delegates. One of the aspirants was said to have asked his supporters to remember him in their prayers as he participates in the primary today. Ortom told SUNDAY PUNCH that there was no cause for alarm as he prepared for today’s primary. The governor, who spoke through his Chief Press Secretary, Terver Akase, said that being made the leader of the party in the state would make the battle easier for him. “The governor is not panicking at all; he is set for the primary tomorrow and the party has assured that a level-playing ground would be provided. “And now that he is the leader of the party, he has assured other aspirants of a level-playing field, he has done enough to get the nod of the delegates,” Akase said. Also, a governorship aspirant on the platform of the APC, Benjamin Adayin, said his team was confident of emerging victorious in today’s primary. Meanwhile, the police in the state said they were combat ready to ensure that violence did not mar the primary. The spokesman for the command, Moses Yamu, stated, “The command is ready for the primary elections of the two main parties holding tomorrow (today). “Already our officers early this morning (Friday) embarked on confidence patrol. All the venues for the primary elections are being taken care of. “We have deployed our officers to all the venues, so there no cause for alarm,” Yamu said. From all indications, Governor Aminu Masari looks set to emerge victorious in today’s (Sunday) governorship primary of the Katsina State chapter of the APC. There are, however, loud murmurs ahead of the primary from the camps of the other two governorship aspirants battling Masari for the ticket. The other aspirants are Abubakar Isa and Garba Dankani. Isa, at a press conference in Katsina late on Thursday, expressed fears about the primary. He said, “The so-called executive members of the party were illegally elected in a phantom congress of the party. “Their so-called election, is now a subject at many high courts and the Federal Court in Katsina State and therefore ineligible to take decision on behalf of the party and its members”. The APC state Publicity Secretary, Abu Danmusa, told SUNDAY PUNCH that the state executive of the party had always been carrying along the party’s national headquarters in all the steps so far taken. He said, “As far as I am concerned, it is only the court of law that can declare whether an action is legal or not and up until now, we have not received any injunction concerning the governorship primaries. “Please note, it is not Katsina APC that is organising the primaries, but the national body. And the party’s national working committee has cleared three aspirants including his Excellency, Governor Aminu Masari to contest the primary. The Akida group in Katsina APC, had earlier, publicly raised its voice against the state executive of the party, shortly after the state executive adopted indirect primaries to elect the party’s candidates for the 2019 election. Now that the APC National working Committee had approved indirect primaries for Katsina State, and members of the Akida group had kicked against it, observers await how the party will handle anticipated issues that will definitely trail today’s(Sunday) governorship primary. Also, as part of concerted efforts to douse the uproar generated by the alleged imposition of Mukhtar Shehu by Governor Abdulazziz Yari of Zamfara State, as the APC governorship candidate, stakeholders held a marathon meeting on Friday. It was learnt that Yari convened a last-minute meeting with the aggrieved aspirants on Friday to reach an amicable resolution of all contending issues. A reliable source, however, said the Minister of Defence, Brig. Gen. Mansur Ali (retd. ), who is one of the aggrieved aspirants, was not at the meeting. Also, Senator Kabiru Marafa, who, though was cleared but will not be participating in the the exercise, was not at the meeting. However, the meeting has yet to come out with a position, as at the time of going to press. Meanwhile, the arrowhead of the aggrieved aspirants, Marafa, had announced his non-participation in the party governorship primary, holding nationwide today. Senator Marafa, while addressing his supporters, stated that he would not participate in the primary election, in adherence to a court order not recognising any faction of the party state executive committee. Ahead of the APC governorship primary in Abia State, one of the aspirants, Mr. Chidike Ukauwa, has announced his withdrawal from the race. Ukauwa said he decided to step down for one of the frontline governorship aspirants in the party, Mr. Uchechukwu Ogah, who he described as his master. But the chairman of the APC the state, Chief Donatus Nwankpa, said the party was prepared to conduct the primary on Sunday. He said the party will ensure that the election is free, fair and credible. However, the party register for members of the APC may cause a big challenge in the conduct of the primary. Nwankpa said on Saturday that some wards and the Ohafia Local Government registers were not sent to the state secretariat from the national secretariat in Abuja. He said the state executive council would allow members of the primary election committee to determine what would happen to such areas. But the aspirants standing for election and other leaders of the party did not feel comfortable with the development. It was learnt that some names of the party big wigs in the Bende LGA, including the leader of the party in the state, Chief Orji Kalu, were missing on the register. Meanwhile, seven aspirants have obtained the nomination and expression of interest forms for the ticket of the APC in the 2019 general elections. They include a former deputy governor of the state, Chief Chris Akomas; Chief Ikechi Emenike, and Ogah. The others are Friday Nwosu, Pual Ikonne, Dr. Okey Emuchay and the former Speaker of the state House of Assembly, Mr. Martins Azubuike. In Bauchi State, three governorship aspirants have alleged that the state government has perfected plans to use thugs to intimidate voters at the governorship primary holding today. The aspirants – Captain Bala Jibrin, Yakubu Lame and Dr. Ali Pate – made the allegations at a joint press conference in Bauchi on Saturday. The aspirants also alleged that security operatives were being used to intimidate and coerce the voters by all means in favour of Governor Mohammed Abubabakar who is seeking reelection. They jointly accused the state government of using state funds to buy votes by ensuring that all the card-carrying members of the party were forced to vote against their wishes. They added that the government was doing that because the governor and his government had already lost popularity and this made the national secretariat of the party to order direct primaries in the state. According to the three aspirants, they have evidence that the sum of N5m was given to each of the party executives at the local government levels for onward transmission to the party members at that level in order to vote for the incumbent governor, Mohammed Abubakar. The aspirants further alleged that their supporters were being harassed, arrested and questioned by security operatives without provocation. Also speaking to Sunday PUNCH, Shehu Ningi, a supporter of one of the aspirants, Dr. Ali Pate, said fake ballot papers had been printed, which would be used for the primary. Also speaking with one of our correspondents, Duke Dambam, said he was arrested by the police in Dambam on the directive of the Divisional Police Officer. He said, “I was in my house in Dambam praying on Friday when three policemen came to my house. They said they got information from the Dambam Local Government Area chairman of the APC that the party’s membership cards were being distributed in my house. Efforts to get the state government’s reaction to the allegations proved abortive. The Press Secretary to the Governor, Abubabakar Al-Sadique, directed SUNDAY PUNCH to the Special Adviser on Media and Strategy, Ali M. Ali, who failed to return the calls of one of our correspondents. Ahead of today’s governorship primaries of the APC in Kaduna State, the coast seems clear for the state governor, Mallam Nasir el-Rufai, to emerge as the candidate of the party in 2019 governorship. The National Working Committee of the APC, conceded to the state to adopt the indirect primaries mode of election during Sunday’s governorship primary. This was after a fierce battle with other party stakeholders in the state, notably among them, the lawmaker representing Kaduna Central at the National Assembly, Senator Shehu Sani, and other stakeholders, who rejected the indirect primary mode of election. Sani and his supporters preferred the direct mode of primary which they claimed was more transparent. But the NWC turned down their request. Meanwhile, all is set for today’s governorship primaries of the PDP in the state after weeks of confusion among the governorship aspirants. Those aspiring to unseat El-Rufai from the Sir Kashim Ibrahim Government House, Kaduna, if given the nod by party delegates in today’s primary, are a former governor of the state, Alhaji Ramallan Yero; former Director-General of the National Emergency Agency, Alhaji Mohammed Sani Sidi; an ally of former Vice President Namadi Sambo, Senator Suleiman Hunkuyi, representing the Kaduna North Senatorial District; former member of the House of Representatives, Alhaji Isa Ashiru; a former Finance Controller of the Economic Community of African State, Mohammed Sani-Bello; as well as a former Director of Human Resources, Dangote Group of Companies, Dr. Shuaibu Mikati. Ahead of today’s (Sunday) governorship primary of the Peoples Democratic Party in Imo State, two political foes, eyeing the governorship ticket of the party, Emeka Ihedioha, and Senator Samuel Anyanwu have pledged their support for a peaceful outcome. This is coming after a nine-hour closed-door meeting in Owerri, which was presided over by the state chairman of the party, Charles Ezekwem. Ihedioha, who is the immediate past deputy speaker of the House of Representatives and Anyanwu, who is the Senate Committee Chairman on Ethics, Privileges and Public Petitions, have engaged themselves in volatile campaigns in the build up to the Sunday showdown. Speaking to journalists after the meeting, where neither of the two agreed to step down for the other, Ezekwem described the outcome of the meeting as very fruitful. He said that the peace meeting was brokered by Imo PDP Integrity Forum. “We have mandated their social media aides, who have been insulting these great politicians, to desist from that nonsense or else they will have the party to contend with. Ihedioha told journalists that he had agreed to work with Anyanwu for the overall best interest of the party. The former deputy speaker said, “I have agreed to work with my brother, Senator Samuel Anyanwu, in the best interest of our party and our state, Imo. Anyanwu, who collaborated what Ihedioha, maintained that the interest of the party must override personal expectations. The dusk-to-dawn curfew imposed on Jos town will not affect the Plateau PDP governorship primary today, says the state Chairman, Mr. Damishi Sango. “The curfew will have no effect on our plans; from our arrangement, we shall be through by 5pm,” Sango told the NAN on Saturday in Jos. NAN reports that the state government imposed a dusk-to-dawn curfew on the state capital on Friday, following skirmishes that trailed the killing of some people in Rukuba, a settlement on the outskirts of the city. A statement by the state government said that the curfew would start at 6pm and end at 6am daily. On the report of the Senator Nasir Mantu committee, which was set up to reduce the number of the governorship aspirants, Sango said none of the 13 aspirants stepped down. “All the 13 aspirants are slugging it out for the ticket. The good thing is that they have agreed to support the winner. “They have also asked the party to conduct a transparent election and have been assured of that,” he said.